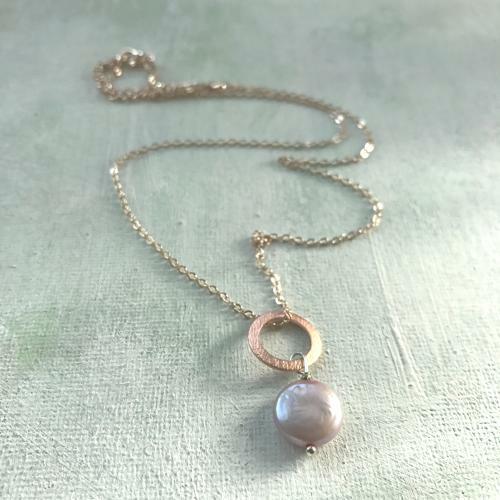 A gorgeous pink freshwater pearl on an etched rose gold plated circle and silver plated chain. Length of chain 50cms, pendant 2.5cms. Designed and hand made in England.